26. Remote sensing surveys - magnetometry. 27. 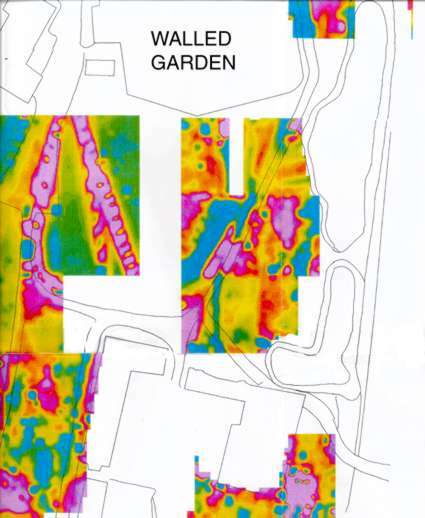 Electro-magnetic profile of the central green at Cressing Temple by Geo-Services International. Note the strong reactions for the buried cables and waterpipes.